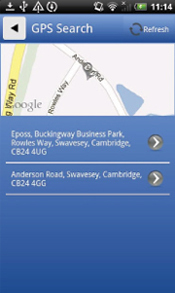 The iPhone and Android Booker App is fully integrated with Advance Cars Booking & Despatch System, Bookings go straight into Advance Cars booking system and are dispatched automatically. 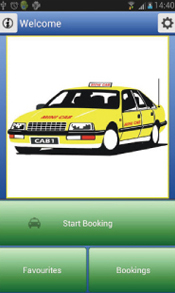 With just a few taps on your phone, You can book a Cab. 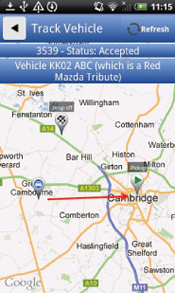 You can also track the progress of your vehicle in real-time on a map. 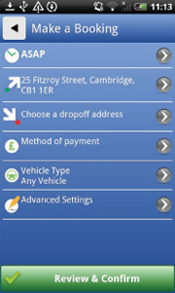 Once the booking is confirmed and when the vehicle arrives to pick you up you will receive an automatic text message. Don't just take our word for it - read what our Customer's have to say about it! Fantastic App! Get a taxi/minicab anywhere in London. No waiting for the phone to be answered. Sends a cabs straight away, thank you Advance Cars. Brilliant App!!! Used the app and it was brilliant. The taxi turned up on time, also like the tracker which also tells you the Make of car and number plate which is very handy indeed. A very well thought-out app. your the best Advance Cars. Very fast and easy to use! I must admit I was hesitant in using the app initially as we needed the taxi in a hurry, after initially having problems finding the restaurant we booked and 5 mins later it was there and on a Saturday night, superb thank you Advance Cars. In 2012 we implemented our newest booking feature IVR. IVR or Interactive Voice Response, in essence gives Advance Cars the ability to offer a faster, efficient service to more customers. The system allows regular customers to book a car without speaking to an operator and also ensures that the customer is not held on the phone for longer than is absolutely necessary. Generally it takes 15/20 seconds to book a taxi using the automated service, depending on the customer familiarity with the system. Of course IVR will not replace our staff, but it will free up our telephonists to concentrate on dealing with calls that demand their attention. 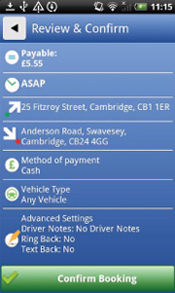 Advance Cars Auto book system gives our customers the ability to book a Private Hire vehicle without having to speak to an operator! IVR links to our main Booking & Dispatch system and allows cash and account customers wishing to make regular journeys from pre-determined points to book a car without speaking to a telephonist. The caller knows that they will always get a response, and they can book their car in just a few seconds. The IVR system can answer multiple calls and is reliable and easy-to-use.